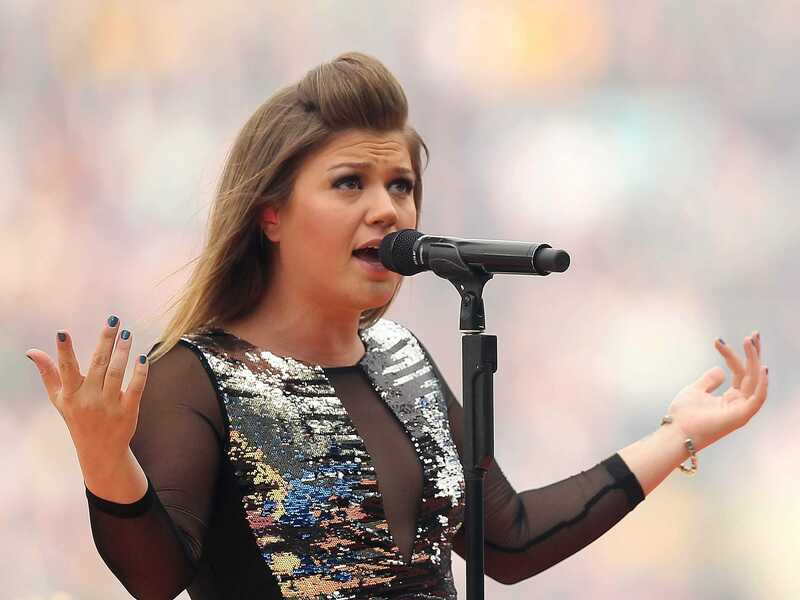 Kelly Clarkson is not impressed with Clive Davis. Yesterday, the record producer’s memoir, “The Soundtrack of My Life,” came out and Clarkson posted a lengthy personal note to her fans on WhoSay claiming it’s filled with lies about the 30-year-old “Since U Been Gone” singer. It begins: “I refuse to be bullied and I just have to clear up his memory lapses and misinformation for myself and for my fans.” Read the entire letter here. Mumford & Sons, Nas, Paul McCartney, and The Lumineers are headlining Bonnaroo this year. Check out the full lineup. Happy 25th birthday to Rihanna! To celebrate, the singer has landed a deal with MAC Cosmetics. Catherine Zeta-Jones and Jennifer Hudson will return as their “Chicago” and “Dreamgirls” characters at the Oscars to celebrate the musicals of the past decade. Mandy Moore’s coming to television. She’s set to star in ABC’s comedy pilot “Pulling,” based on the 2006 British series. Speaking of upcoming television shows, the 30-minute “Zombieland” series has cast Kirk Ward as its Tallahassee. The show will be based off the TK comedy adventure.